The way you present your experience, knowledge and skills is one of the most important stages in your job search. There’s no sugar coating the current situation – it’s a very tough labour market. There are of course some positive signs that the economy and job market are improving. So you need your CV to work very hard, open doors and get you in front of the decision makers. Your CV is the first document the recruiter or hiring manager will see and it’s their first impression of you. 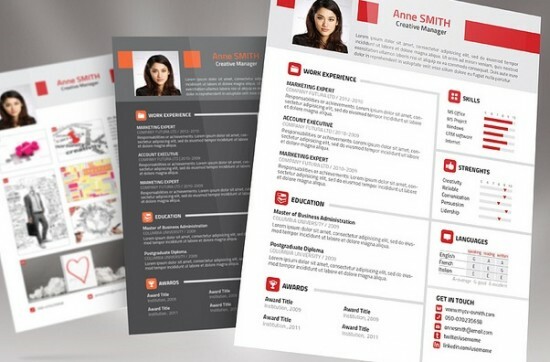 It’s so important your CV projects a professional image. Make sure the format and layout of the information is clear and concise. It goes without saying that spelling and grammar are accurate. It’s better to use bullet points to outline your duties and responsibilities – rather than blocks of writing or long paragraphs. Blocks of writing are not easy to read quickly or find key information and you are likely to put recruiters off reading it at all. Respect the recruiters time and keep the sentences short and to the point. Make really good use of the space on the page – don’t have too much empty white space or large margins. Are you using the right words to describe your level of responsibility? I’ve recently been working with a client from the financial service sector who has 25 years experience in the industry. I was shocked to see his CV was so basic and used words like “Helped” and “Assisted” when in fact he was responsible and accountable for the improvements, implementation and the delivery of information to support critical business decisions. Check you are doing yourself justice with the language you use throughout your CV. Watch your use of jargon or company acronyms. Only use jargon or acronyms that are widely known in the market. However, you should be mindful that your CV might be read by someone with no knowledge of this sector or industry. The worst thing you can do is assume the recruiter will know you’ve got certain experience or knowledge because of your job title and omit from your CV because it’s too obvious. Don’t make this mistake otherwise the computer might say no!! You’ve probably already outlined your duties and responsibilities on your CV under each position you’ve held. Remember to use bullet points to describe the main tasks and list them in order of importance. This information has given the recruiter an idea of what you were responsible and accountable for delivering on a daily, weekly or monthly basis. Now is the time to back up these general statements with what you actually achieved. Including achievements on your CV is absolutely essential in today’s competitive market as it demonstrates your potential to add value, make a positive difference and meet objectives for the business and your career. It’s really important you present these achievements in a clear, concise and specific manner. Obviously commercial awareness is a degree subject in its own right and covers a broad area. There are several ways you can demonstrate your commercial awareness on your CV. Provide evidence of how you keep up to date in your sector – read journals, read the financial newspapers or watch news channels relating to your sector or industry. Demonstrate how you have identified potential opportunities for the business – keeping in contact with customers to understand their needs, keeping up to date with regulation, legislation, and policy changes. Keep informed about competitors, products and services – bench-marking exercises, networking with colleagues, peers and business associates. When you write up your achievements consider including the facts and figures and the results of your actions and this will in turn demonstrate your commercial awareness. For example, employers want to know if you have saved money by reducing the time it takes to do routine tasks by automating or systemising processes, and how much revenue you have generated for the business. There’s a tendency to use fancy fonts and features – however, recruiters are not interested or impressed with a CV that’s hard to read or difficult to find the key information. Some fonts are very difficult to read and make the page lot very busy. Stick to traditional fonts like Arial or Times New Roman. Make sure the fonts and style you use are consistent throughout your CV. Recruiters are likely to spend approximately 90 seconds or less reviewing or scanning a CV for the key criteria. Therefore, the main objective is to make sure whoever is reviewing your CV can spot the essential requirements for the job very quickly. It’s also beneficial to include a cover letter with your CV – as you can highlight the most relevant experience, knowledge and skills to make it even easier for the recruiter or hiring manager to screen you in and invite you to interview. Hope this has been useful and good luck in your job search! !